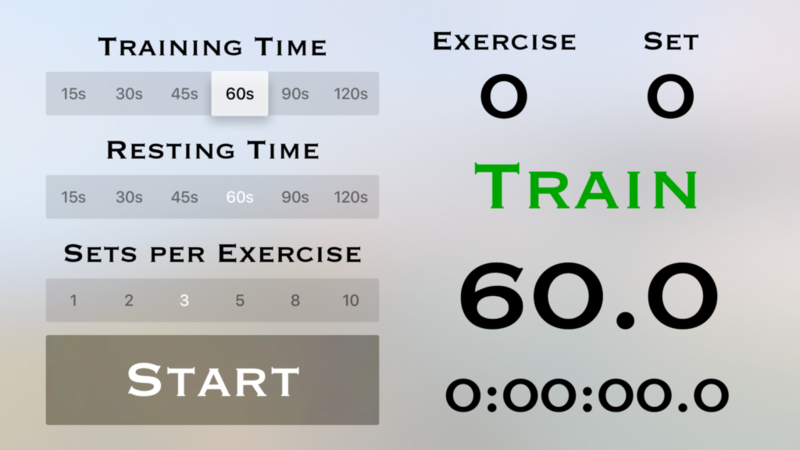 This app provides a timer for High Intensity Interval Training. It allows you to select the training time and resting time for each set, and allows you to select the sets per exercise. The timer provides both a visual countdown display of the time remaining, for each set, and an audible beeping for the last five seconds of each set. You therefore know when a set ends without even looking at the display, allowing you to focus on your training. There are displays for the number of exercises, and sets, as well as the total time of exercising. 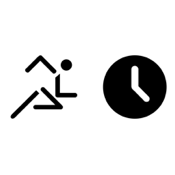 There is a start and pause button, and you can change the training time and resting time while exercising, allowing you to mix and match exercise and resting times.